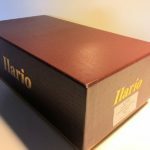 This is the first 1:18 scale model released by the French company Ilario. 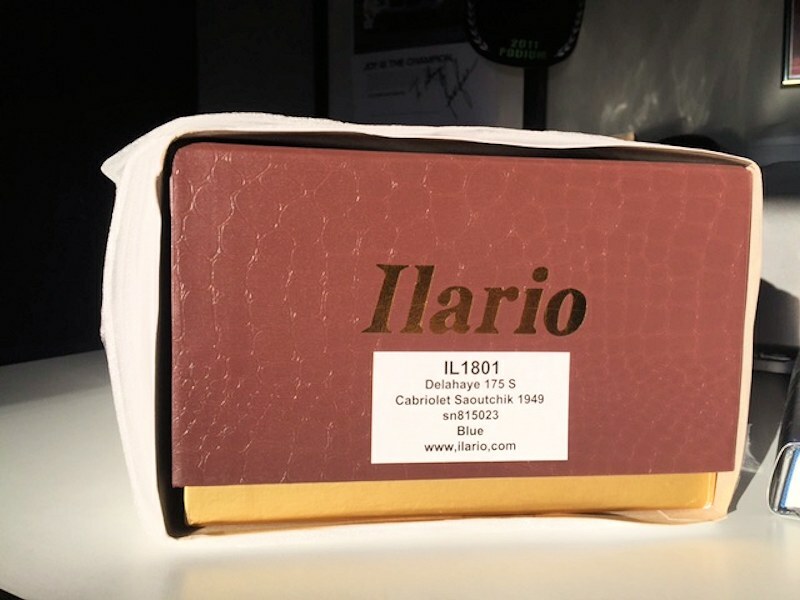 Ilario has been making very limited models since 1984, but this is their recent and premier 1:18 scale model. 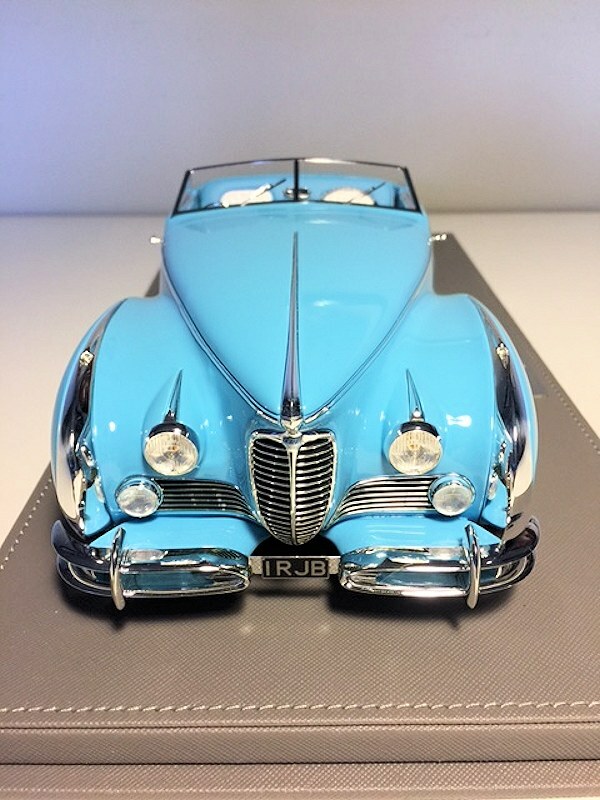 Based on the superb quality present in this model, the hobby is in for quite a treat. 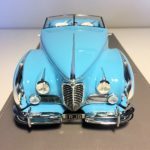 The French automobile company, Delahaye, produced some of the most beautiful and powerful cars since their founding in 1894. The cars were quite competitive in the various European races, and actually came in first and second in the 1937 LeMans race, beating the famous “Silver Arrows” of Mercedes Benz and Auto Union. Unfortunately, the post-war changes in the French economic climate, combined with added domestic and foreign competition, lead to the closing of this company in 1956. 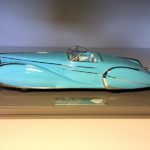 However, before its demise, Delahaye produced remarkably beautiful coupes and sedans, bodied by such famous artisan coachbuilders as Portout, Figoni et Falaschi and as here, Jacques Saoutchik. 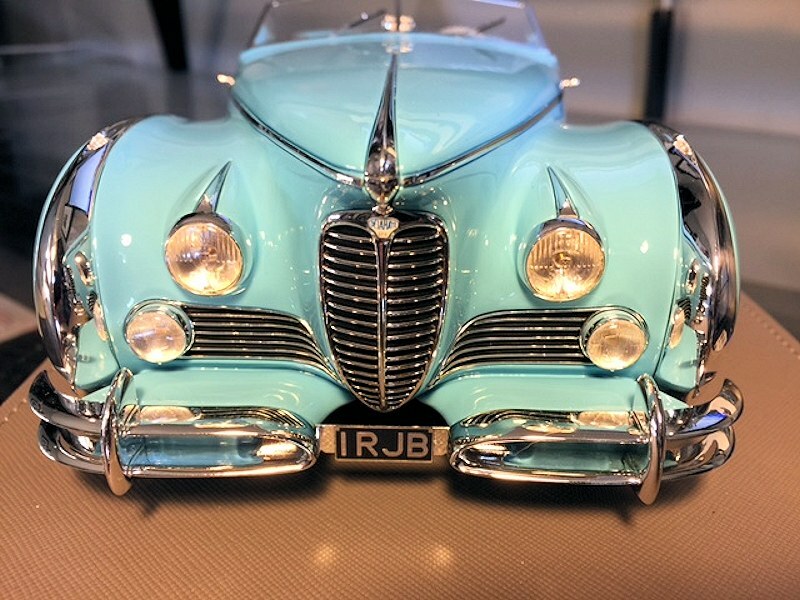 This is the 1949 Type 175 S.
This car was the only Saoutchik-bodied 175 S. It followed the similar flowing lines popular with automakers at the time, especially the “Narwal” hood/nose treatment, as was used by Figoni et Falaschi on an earlier Type 135. This had a strong, 165 bhp naturally-aspirated inline 6-cylinder engine, combined with a Cotal preselector transmission. 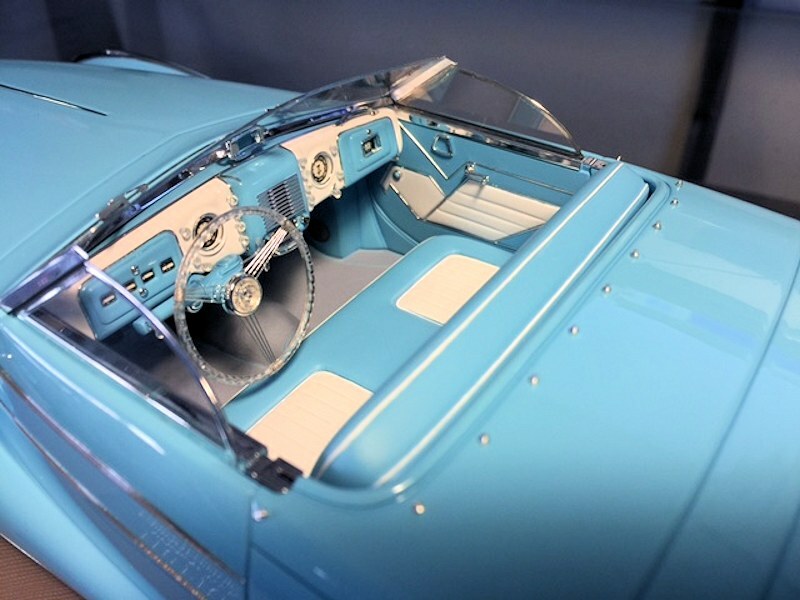 This car was owned by several owners to date, the most famous of which was the English actress Diana Dors, considered one of the “blond bombshells” of the period. 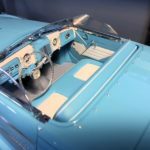 The car was a favorite during its many concours appearances, and continues to be so, having won awards at Pebble Beach and Amelia Island since its restoration in 2007. 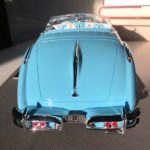 It recently sold at auction for $3.3 million dollars. 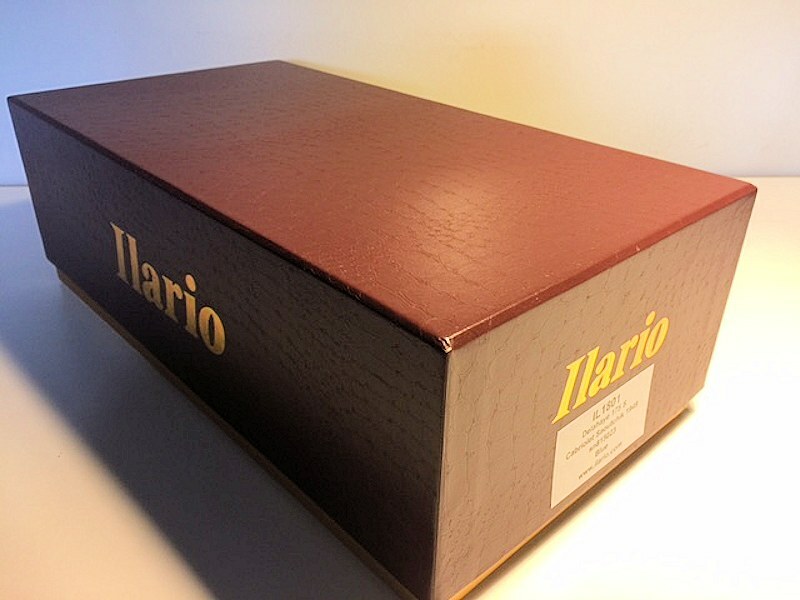 As noted, this is the first 1:18 scale release by Ilario. 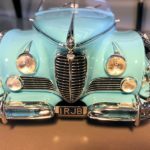 The car itself has always been a favorite of mine, and when the model was announced, I immediately put one on order, getting it through my “go-to” source, The Motorsport Collector, here in the Chicago suburbs. 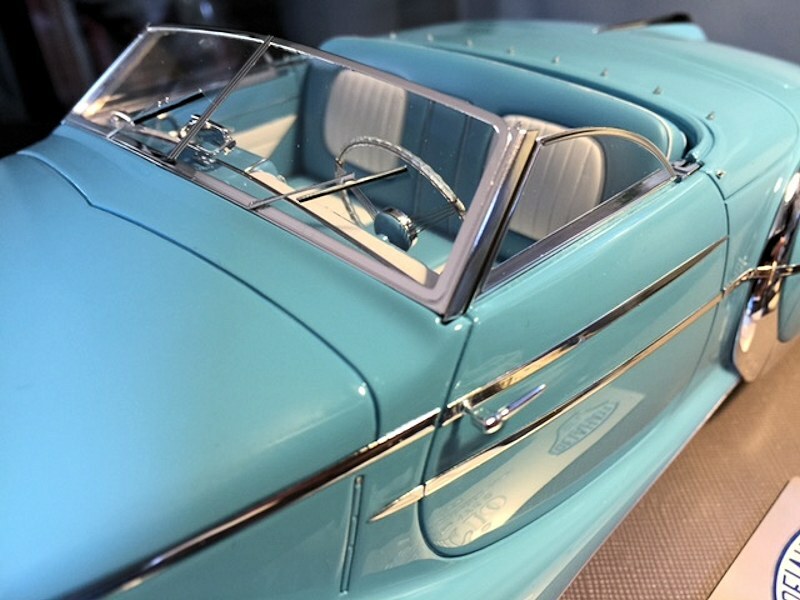 This is a closed resin piece, except for the open driver and passenger area, and is from a production limited to 80 pieces. This comes in the “standard” double box, with the outside sleeve around a beautifully heavy inner box. The top of the inner box, done in a faux-alligator texture, lifts up to expose the model inside. The model is permanently attached to a heavy leather-covered wooden base with a felt bottom. 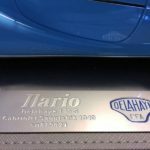 There is a plaque attached, identifying the model as an Ilario, with the car type and serial number (of the actual 1:1 car) engraved, not simply printed. 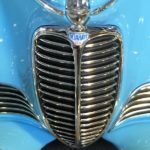 The Delahaye grill badge is also replicated on the plaque. The model is nothing short of stunning. 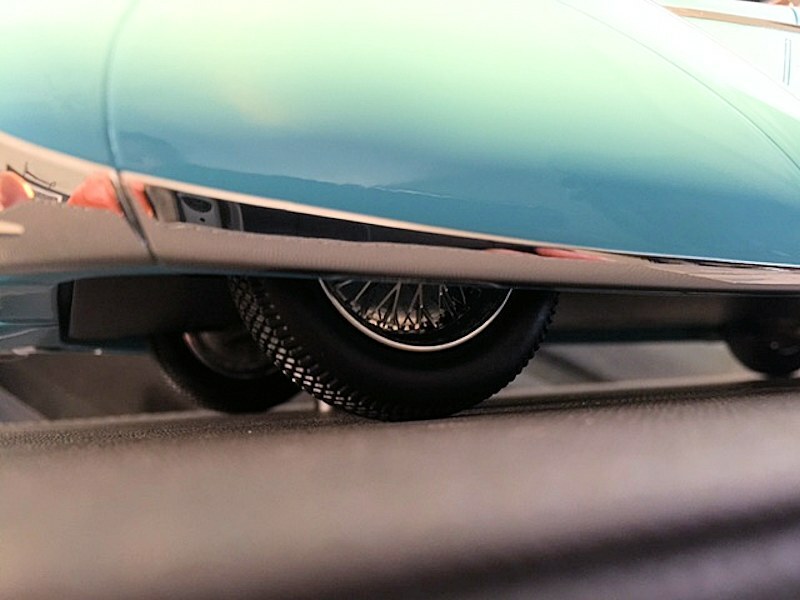 It is a large model, about thirteen inches in length, accurately scaling what was a large car to begin with (the real car has a 116-inch wheelbase.) 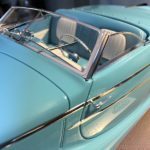 The paint is flawless, smooth, deep and based upon photos of the actual car, true and accurate in color. There are no opening parts, so shutlines are not an issue. 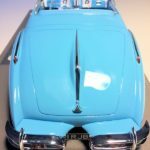 The flowing lines are wonderfully accentuated by the beautiful chrome work, which is perfectly done on the model, tight and flush with the body. 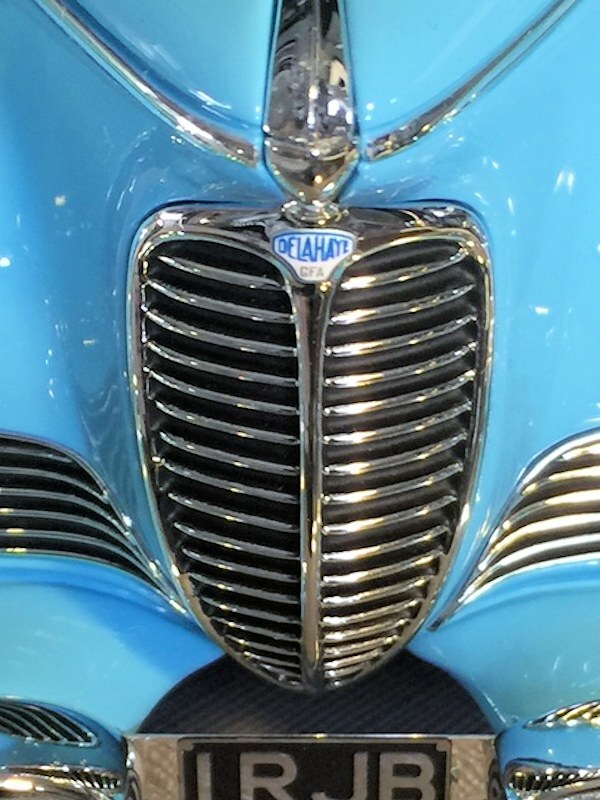 The grill is magnificent, showing the proper curves and topped by a fantastically small yet legible Delahaye badge. 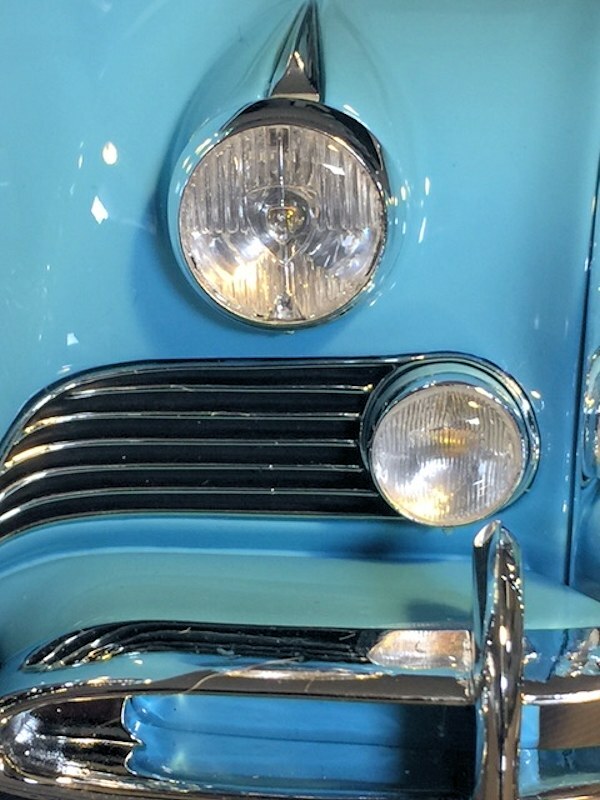 The chrome on the front fenders is topped by a white light, which is wonderfully organic to the trim. The rear chrome sweeps up to terminate in a lovely red-lensed light. 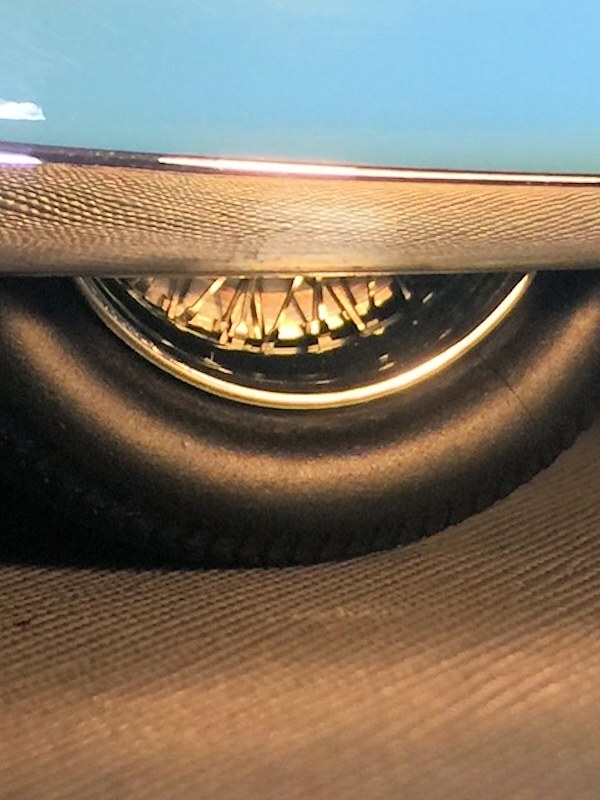 On the subject of lights, the photos show the fantastic detail in the headlights, exhibiting the proper Marchal-brand lensing, with a yellow bulb in the center, again, showing the model’s fantastic attention to detail, and flawless execution. 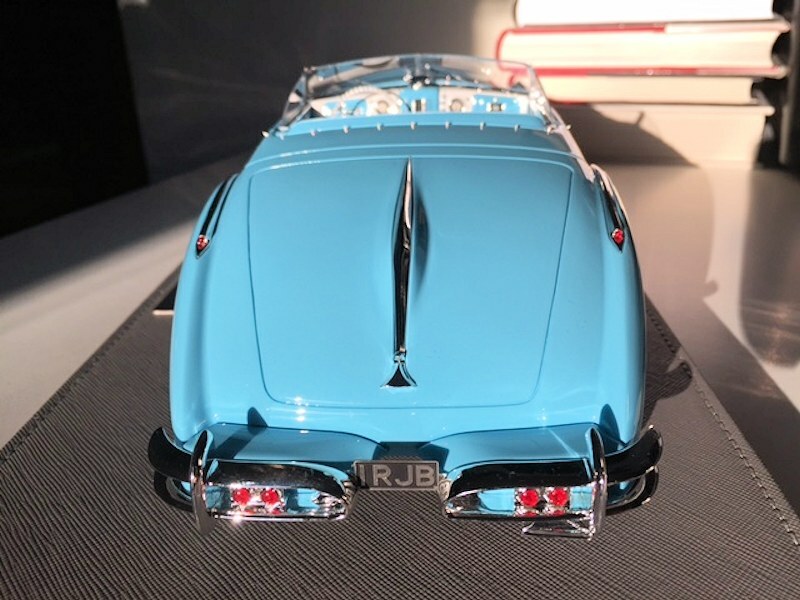 The taillights are similarly lensed, not painted. 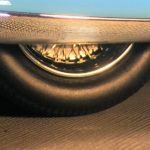 The tires appear unbranded, but this is not an issue as they are covered by the bodywork and barely visible. Nonetheless, if you look closely at the wheels, you will see that they are nicely spoked, with the brake drums visible behind! 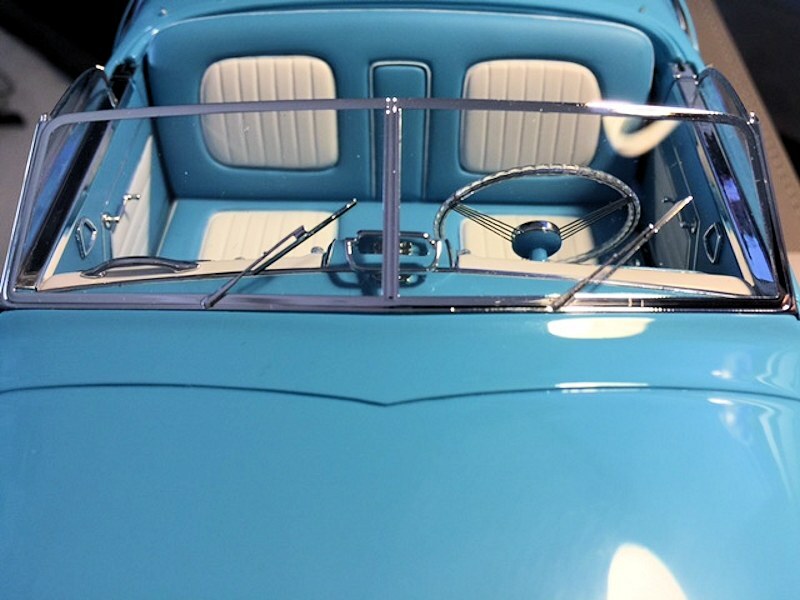 The windshield and side windows are wonderfully replicated, with what appears to be accurate thickness. the windshield wipers are some of the most delicate I have ever seen, and perfectly done. The metal window trim is also perfectly done, thin and to scale. 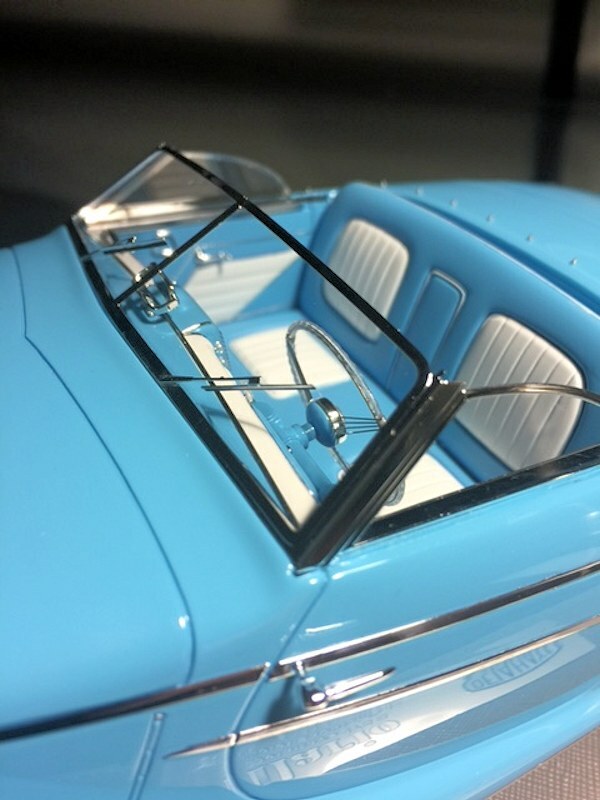 Even the attachment points for the convertible roof are present, again demonstrating the amazing eye toward accuracy in this model. Now, let’s look at the interior. This is absolutely stunning. 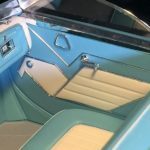 The upholstery is done in what looks like a soft vinyl, or perhaps even leather as is seen in the real car. Here, its finish is perfectly done, giving the impression of softness. The white inserts are perfectly placed, as is the cording. The door panels are beautifully replicated, showing accurate and delicate door pulls and window cranks. And the stylized white bird is beautifully done, with amazing chrome trim around its borders. 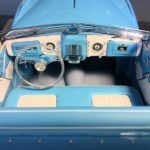 The dashboard looks as though the real dash was simply shrunk down to fit this model! The gauges are all glass-lensed, with fantastically legible numbers! even the clock in the glovebox door is perfectly done. The floor has real fabric carpet, which is amazing in its accuracy to scale! The floor carpets even have the proper cording. 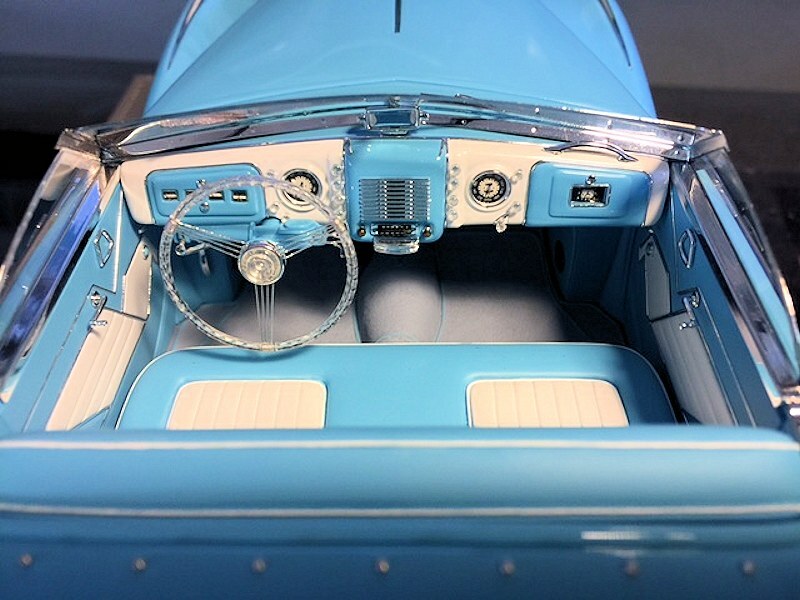 The steering wheel itself is a sight to behold- accurate with the delicate four-spoke wire arms done in an amazingly small scale, and of course the clear Lucite steering wheel itself is accurately done, again, to scale and not too wide, as is sometimes seen in other 1/18 models. 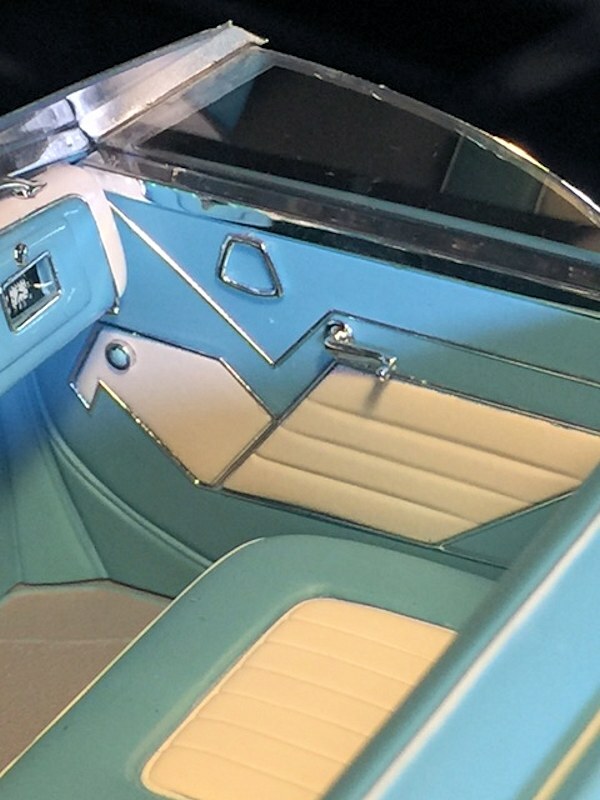 The dash and gear-selector knobs are also done to accurately depict the actual Lucite knobs of the real car. 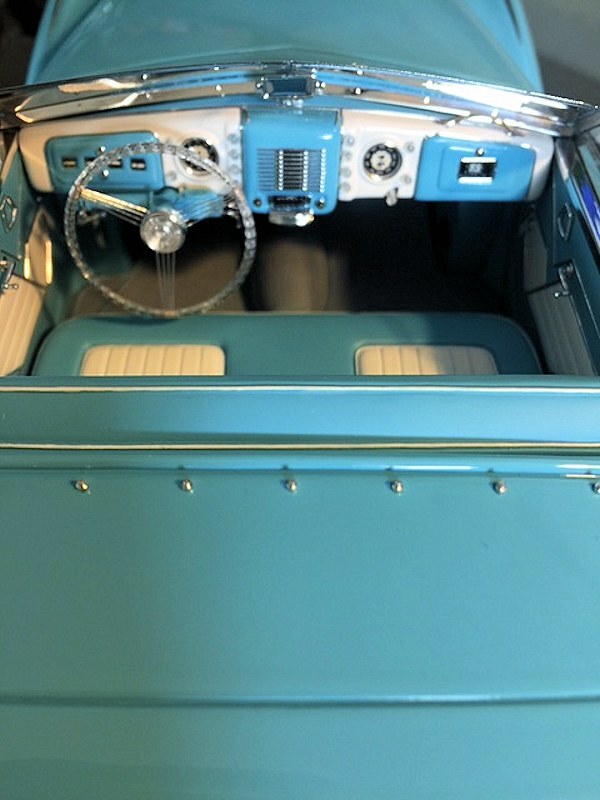 It is easy to just sit and stare at the interior for quite some time! Overall, this model is quite close to being perfect. The execution of everything, from the large body itself to the smallest details shows a fanatical devotion to accuracy and quality. This model has gone to the top of my list of favorites, and I think well worth its $630 USD price! 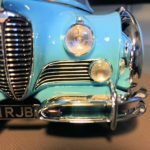 Enjoy the photos- not of the highest quality, as taken with an iPhone, but certainly capable of showing this remarkable model! 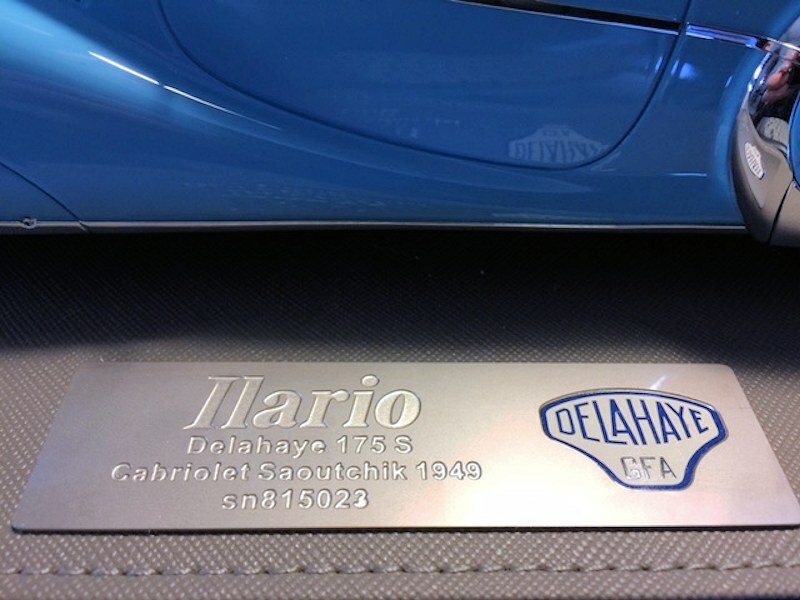 16 Responses to "REVIEW: Ilario 1949 Delahaye Saoutchik-bodied Type 175 S"
My views exactly! If my review was full of superlatives, the photos prove my point! It looks even better in real life. . . I agree Wes! 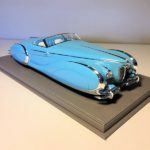 The subject matter lends itself to a beautiful rendering, and the model maker has done it justice. I personally believe that it should be for rare and limited-run releases such as this one that resin is suitable, and not the large volumes of resin BBR/MR/GTS/Otto specialize in. Great review. 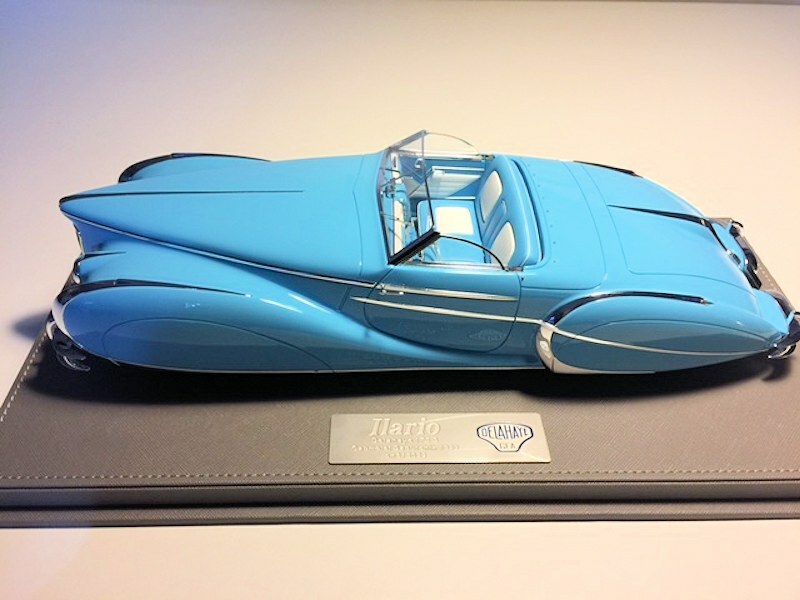 I have one of these as well, bought mine directly from Ilario. 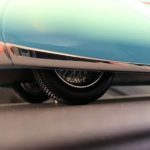 I’ve seen the real car in person, and this is a great model of it. Just one small thing, the shade of blue though very good, is not quite dark enough, but does come very close. The blue is the only color I’d consider for this model, even thiugh it is also done in orange or black. 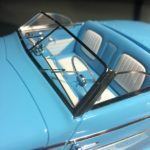 I am glad that you did this this nice review on a fantastic model. 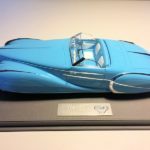 It was quite a surprise to see Illario known mostly for his perfect but expensive 1/43 Bugatti and Rolls Royce models venture into the 1/18 scene. 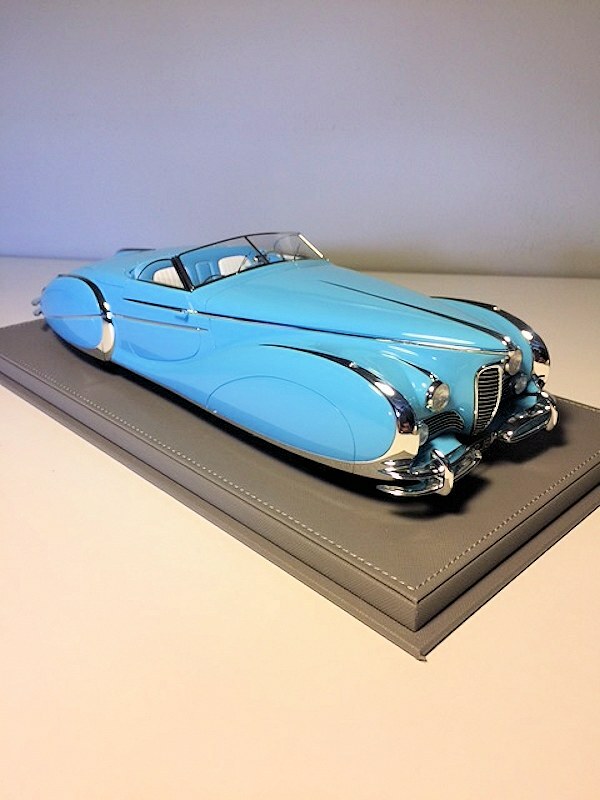 Beautiful work on this Delahaye. Congrats! The blue is the only color I ever considered, though it should be more of a turquoise. 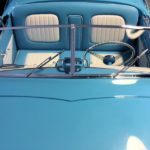 And it is also the only color this car was ever painted. Great model and well worth the price – high quality, accuracy, and a true limited edition. 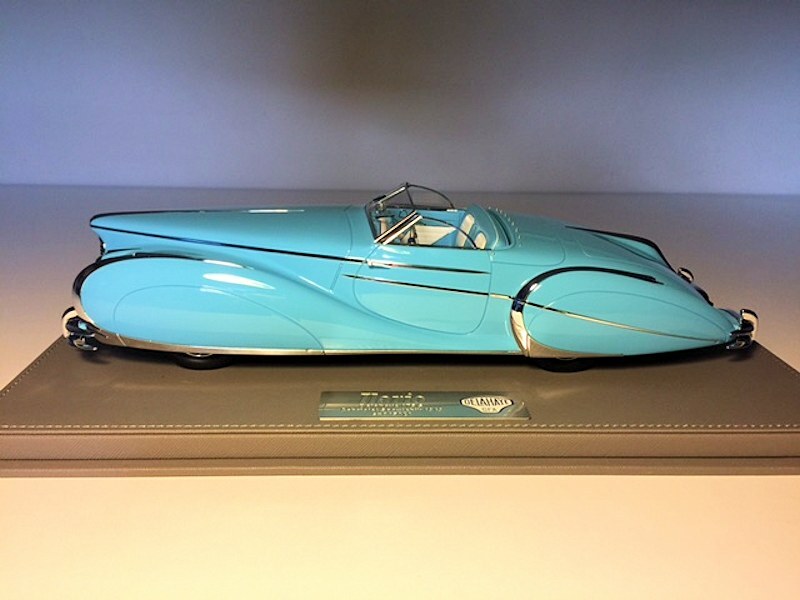 Wasn’t there a model of the Delahaye 175S in white or red about 20 years ago? I remember not buying one because the fender skirts were plastic and had changed colour when compared to the diecast body. I can’t imagine a car as beautiful as this would go until now without being modeled by someone. . . 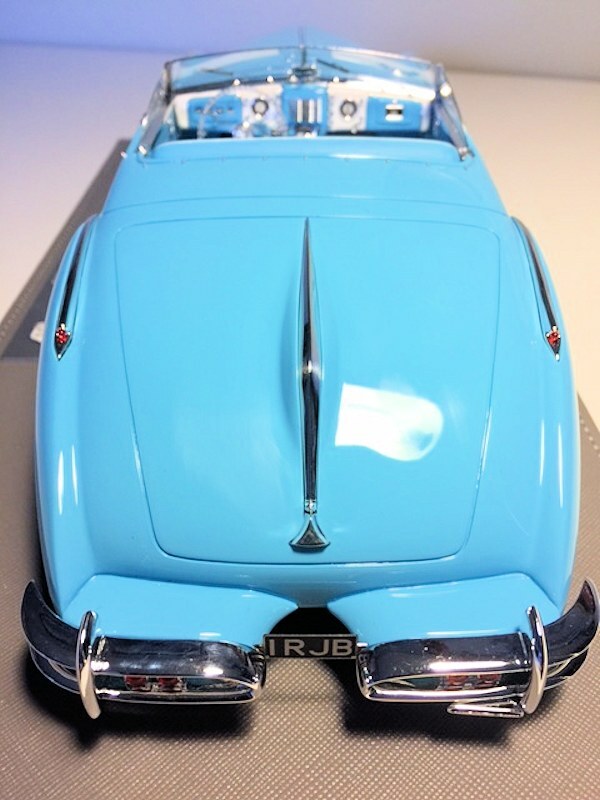 This car was modeled before – both times in 1:43 scale only. 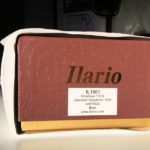 First was Ilario in their “Chromes” line, back in 2010. They produced 130 pieces in blue, and another 40 pieces painted orange to replicate a drawing on some vintage European trading cards. 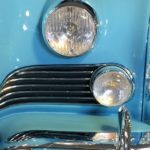 As mentioned, the real car has always only been blue. The other mfg. 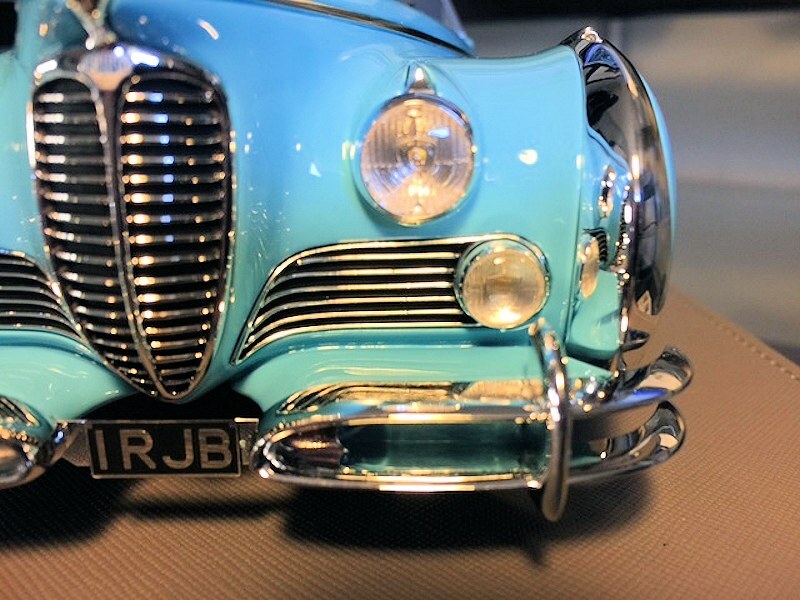 that made a 1:43rd model of it was Spark, and theirs was ok, but not as accurate as the Ilario model, which also had some mistakes, but all corrected now on the big 1:18 piece. Is the SN 815023 unique? Because I’ve recently purchased one after seeing your review and my SN is 815023! That’s the chassis number of the actual automobile! Man we’ve got to get models with this kind of quality on the streets guys! Now this model is one of the few resin models I am actually impressed with. BBR and MR definitely have to learn from those French dudes. I bought one of these. It is the finest model I’ve seen. Simply stunning. I just received mine, in blue, from an ebay seller and this review describes it perfectly. 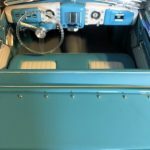 I only wish the doors, trunk and hood would open – I’d love to see the engine compartment and the trunk area. Gorgeous and well worth the price.